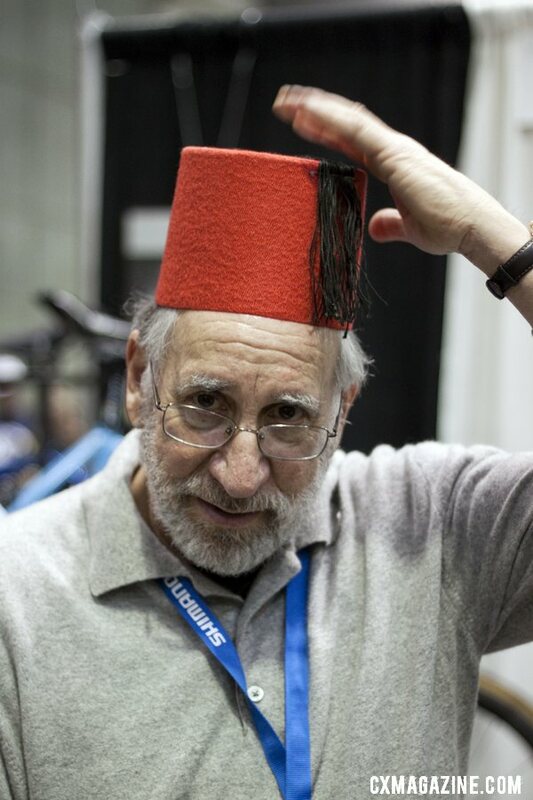 We’ve got a ton of NAHBS 2012 content still to come. 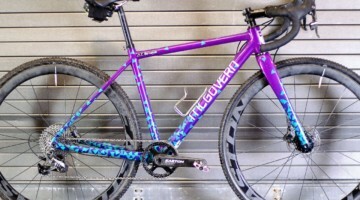 Check back often for more eye candy and new cyclocross products, and view our published NAHBS 2012 coverage. 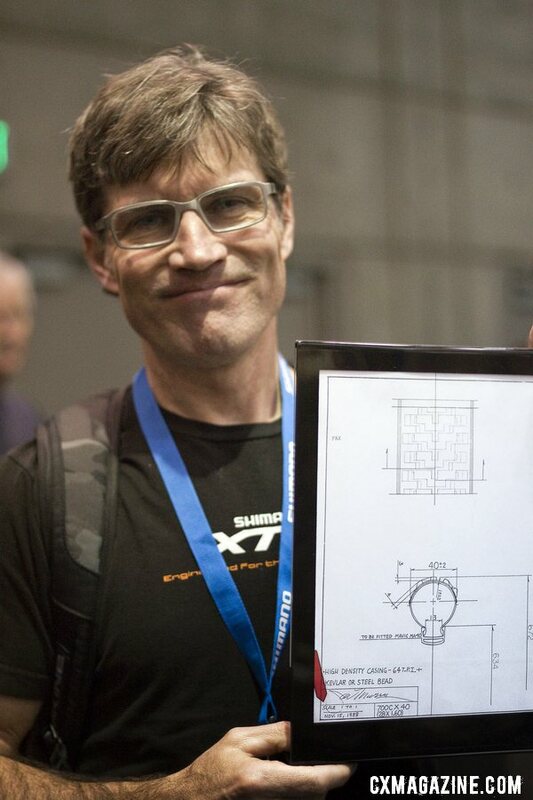 Bruce Gordon Cycles has a long history building bikes and tires that are capable for mixed terrain riding and touring, and some consider him one of the earliest 29er pioneers, developing the 700x40c off-road capable Rock ‘n Road tire that was designed by mountain bike legend Joe Murray and manufactured by Cheng Shin. 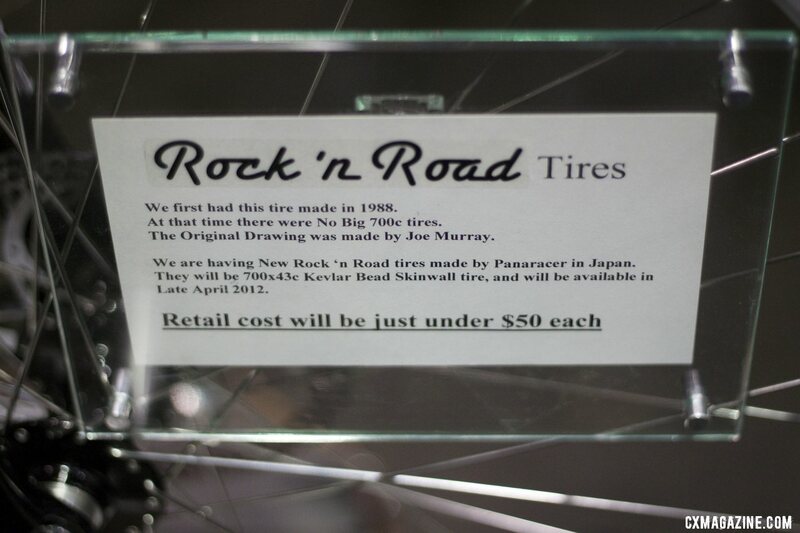 Gordon sold quite a few Rock ‘n Road bikes built around that tire, and may have ushered in a line of early 29er bikes and tires including the Diamond Back Overdrive, Bianchi Project (Project 1,3,5,7 models) and tires like the 700x45c Panaracer Smoke. 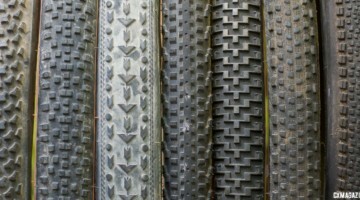 Bruce Gordon said he only made the Rock ‘n Road tire, originally in a 700x37c width for about a year, but fast forward twenty four years, and with the incredible popularity of the 29er, wide 700c off-road capable tires have nearly become extinct. 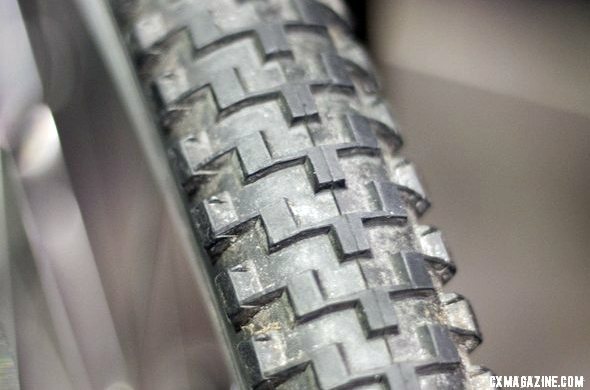 While there still are tires like the Panaracer Fire XC 45c tire and some narrower Specialized and Bontrager 29er tires, Bruce Gordon has recognized an opportunity and commissioned Panaracer to recreate the original Rock ‘n Road tire. 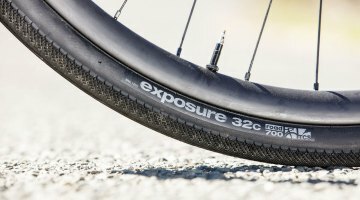 The tire returns with a folding bead, a slightly wider 43c casing and a $50 MSRP. Availability should be mid-April. 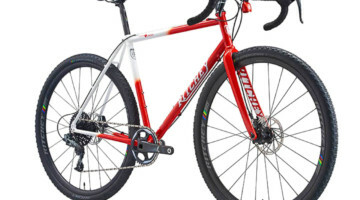 It might be a nice option for taking bigger-clearance cyclocross bikes into rougher terrain, or for the more adventuresome, a mountain bike race. Stay tuned as we put an early set to the test. 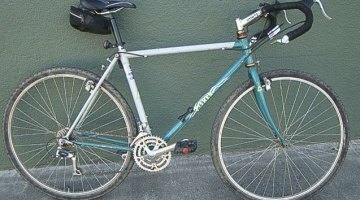 Gordon also showed off a number of touring and dirt-capable bikes, with drop bars and flat bars and 26″, 650b and 700c wheels. 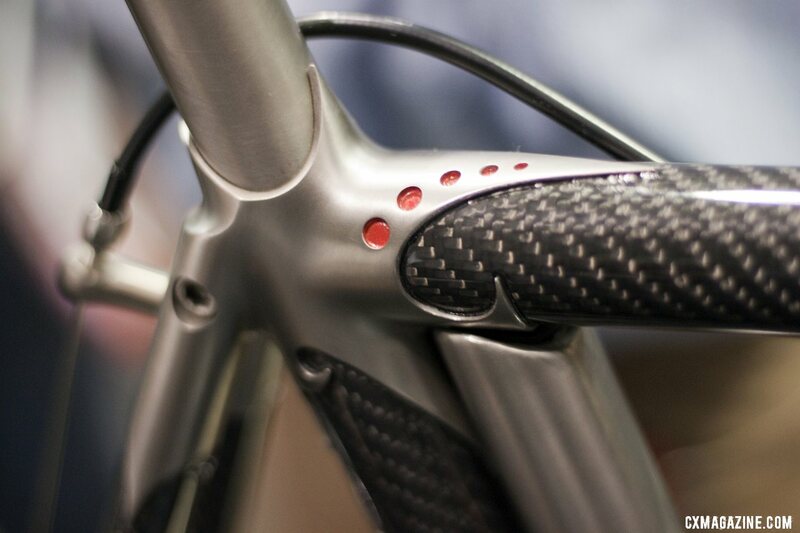 Our favorite was also Gordon’s personal favorite bike, a titanium-lugged carbon tubed 650b creation, a bike he says is “the best bike he’s ever ridden” due to its smooth ride quality. It’s a two-of-a-kind creation, and not on his list of models, but he said a customer can buy one, but it’s prohibitively expensive. “Take what you think it’ll cost, and multiply by five or ten,” he said.